Phillip Hubbard is the director of Hubbard Architecture Ltd. Phillip formed the company in 1998 and has been operating full-time from a Windermere base since 2004. Phillip received his architectural education at The Bartlett School of Architecture, University College London. After qualifying as an architect Phillip gained a broad range of experience working for architects, interior design companies and retail and brand consultancies in London, Australia, and Cumbria. Phillip has working experience of both the private and public sectors, working on projects as diverse as food retail concepts for Shell Australia and hotels in the Caribbean to porch extensions for family and friends. 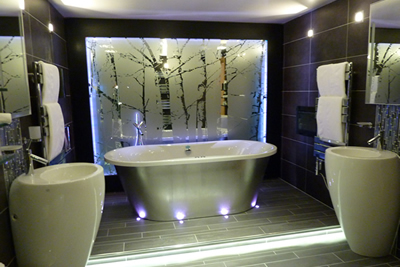 Phillip lives in Windermere in a house designed and built himself- his very own Grand Design! Hubbard Architecture Ltd is on the ‘Select List’ of consultants for Tourism Connect, the multi-million pound grant scheme initiative created by Cumbria Tourism to facilitate improved standards in tourism accommodation. For more information about this initiative please refer to www.cumbriatourism.org. Hubbard Architecture Ltd is listed on the Royal Institute of British Architects’ Register of Practices 2007. For further information about this register and also for advice about employing an architect please visit www.architecture.com. Phillip Hubbard is registered as an Architect with the Architect’s Registration Board, and is a member of The Royal Institute of British Architects. 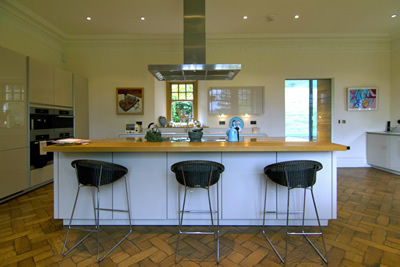 Hubbard Architecture Ltd is based in Windermere. We have invested in technology to ensure that we can provide the service required for both small and large projects. The company uses VectorWorks CAD software running on Apple computers. However, we still recognise that an A4 sheet of paper and a pencil can be the most appropriate medium to communicate our ideas effectively to clients and contractors alike! We appreciate that every project is different and that each client will have his or her own aspirations and budget. We can tailor our input to provide a full architectural service to a project or merely provide feasibility studies for those clients who are unsure as to how to proceed. However large or small, we value our contribution to a project and trust that you will also.